From Feb 11 to Feb 20, the ALMAT team (David Pirrò, Hanns Holger Rutz) conjointly with composer and sound artist Robin Minard tutored a workshop on Algorithms that Matter in this year’s impuls academy. 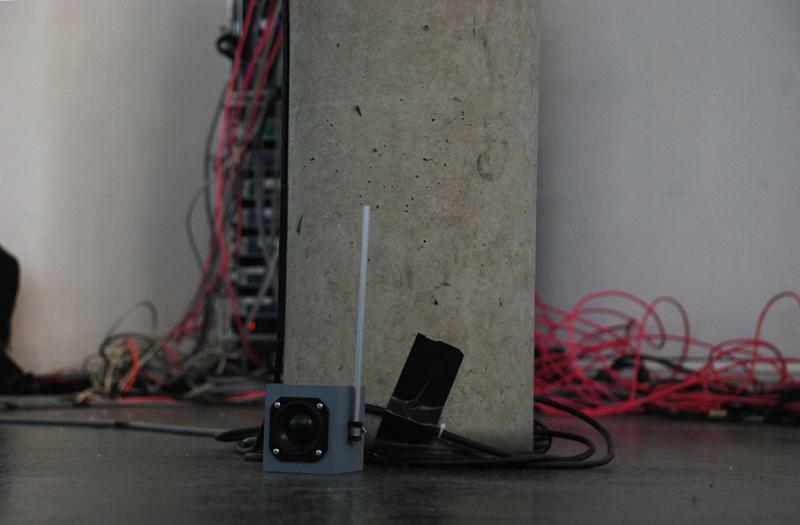 The nine participants of this workshop developed a networked sound installation for the particular space of the Museum of Perception in Graz. We are currently preparing a trailer documenting the event, and a page in the Research Catalogue.